A nonprofit run by Democratic lawmakers in New York that is intended to help needy minorities has not handed out a single scholarship in more than two years as it simultaneously spent big on posh events and fundraisers for its members. 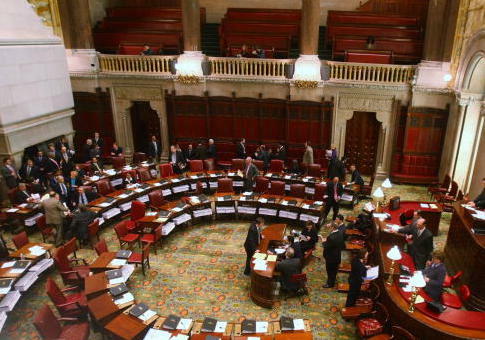 The New York State Association of Black and Puerto Rican Legislators, which runs the charity for disadvantaged minorities, every February organizes a "Caucus Weekend" that includes a host of workshops, parties, and concerts for its members in the Assembly and Senate which collects up to $50,000 from each of its sponsors and has brought in musicians and high-profile politicians such as Hillary Clinton, the New York Post reports. A Scholarship Gala is held at the conclusion of the weekend where its members tell those in attendance that funds from the charity are "changing lives" for the needy minorities, but two sources familiar with its financial operations disclosed to the Post that they did not give out a single scholarship in the last two years. The group, however, collected $500,000 in contributions during its 2015 and 2016 fiscal years while disbursing hundreds of thousands on "food service," equipment rental, and music. During these years, no scholarships were handed out to the disadvantaged minorities. The nonprofit—which temporarily had its nonprofit status revoked in 2011 for failing to submit tax forms for three straight years—did not provide the Post with its tax forms for its 2016 and 2017 fiscal years. The legislators who manage the nonprofit also did not answer questions on its operating expenditures. Latrice Walker, an assemblywoman from Brooklyn who chairs the nonprofit's board of directors, said that she did not have any knowledge of the situation while State senator Leroy Comrie did not respond to emails, phone calls, and would not meet a New York Post reporter outside of his office who showed up with inquiries on its financials. None of its other board members responded to the Post‘s inquiries nor provided any of its tax forms from the past two fiscal years, as required by the IRS. This entry was posted in Politics and tagged Democrats, New York. Bookmark the permalink.